Are you feeling the chill in your area yet? It almost feels like we skip fall altogether in the mornings here. I've been drinking tea all day trying to warm myself from the inside out. 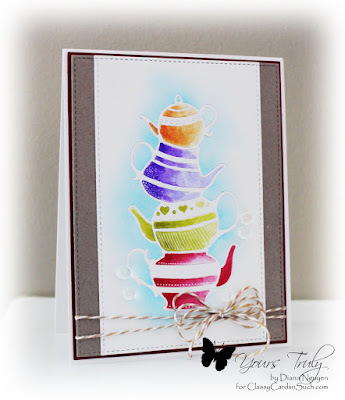 So it was the perfect time to use this Poppystamps Teapot Stack die again! This time I combined sponging and painting. I first die-cut the stack of teapots and removed all the dies and the little pieces. I then sponged around the negative space for a soft blue glow with some Broken China. 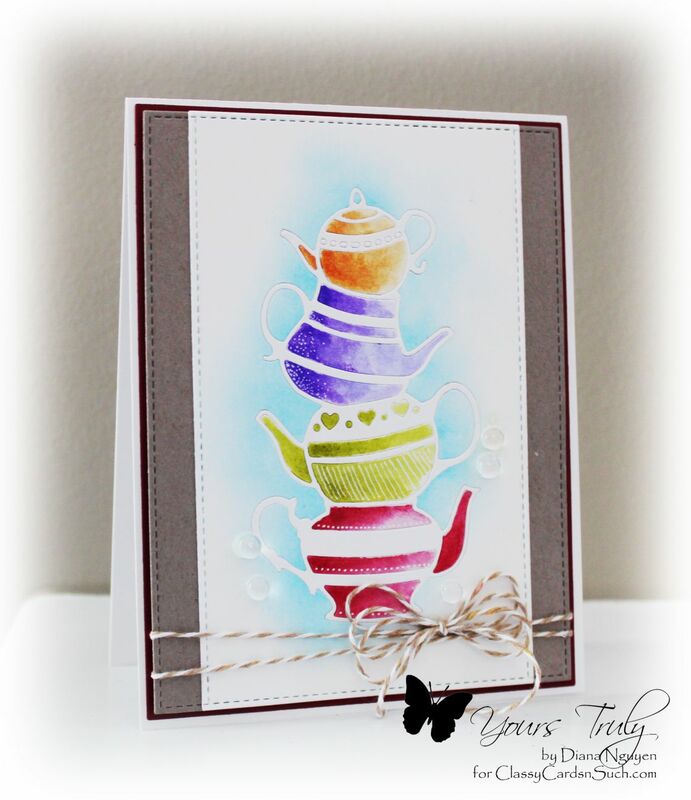 I then watercolored the different pots with some colors from the Twinkling H2O's Thankful set. I then used the in-laid die-cutting technique. I trimmed down my panel with the stitched die from MFT Blueprint 13. I first cut out the left side and then lined it up again to make a skinnier rectangle from the right. The kraft layer is the whole die without any trimming. Finally, thin matting with red card stock using Spellbinders A2 Matting Basics A. It was a little flat so I added a twine bow before adhering all my layers to a white card base and some details with a white gel pen. hi Diana! 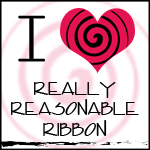 an adorable card, luv your twine tied bow! I am thrilled you played along with us at Simon Says Stamp Wednesday Challenge! 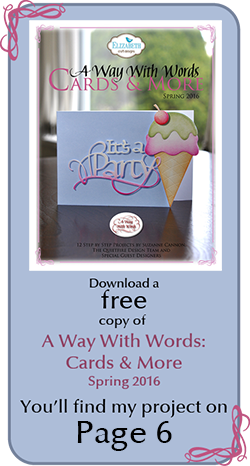 I am having a giveaway on my blog for world kindness day, stop by and comment for your chance at winning!